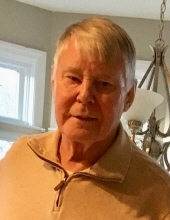 Bob Passed peacefully on April 9, 2019, at the age of 77. He was a resident of Shaler Township. He was proceeded in death by his loving wife Etta Jean Weck. Father of Brian Weck and his wife Ruwani & Christine Clark and her husband Paul. Brother of Matthew Wiczewski and Jeanne Adams. He is also survived by two grandchildren; Ronan and Paxton. Bob honorably served in the Army during Vietnam. He loved to fish, garden, Civil War and World War II History and using his Ipad to read the news. Robert also had a love for all animals. He will be interned with his fellow veterans at the National Cemetery of the Alleghenies. To send flowers or a remembrance gift to the family of Robert Weck, please visit our Tribute Store. "Email Address" would like to share the life celebration of Robert Weck. Click on the "link" to go to share a favorite memory or leave a condolence message for the family.